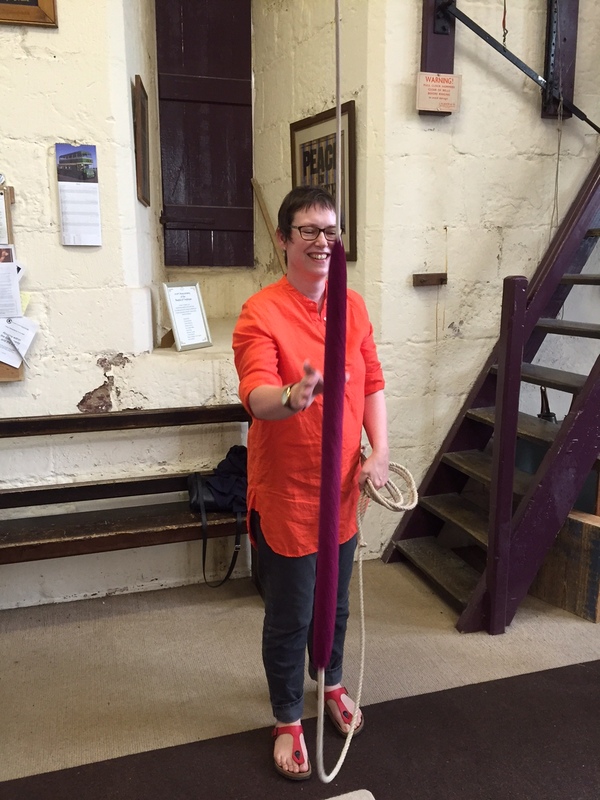 In the second interview for our Meet the MedHumLab Members series, Dr Cordelia Warr, Senior Lecturer in Art History and Visual Studies and currently Head of Subject, tells us about her research on wounds in the Middle Ages and her love of campanology (church bell-ringing). How do your research and teaching interests play into the field of medical humanities? 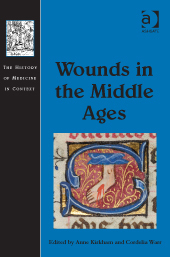 For a long time, I’ve been interested in miraculous wounds in the period from the thirteenth to the seventeenth century, and particularly in holy men and women who were alleged to have received stigmata, miraculous wounds associated with those Christ received during the passion. If you’re going to think about miraculous wounds then the next thing is to think about what makes them different to non-miraculous wounds and this led me to an exploration of depictions of wounds and intentional wounding, for example during surgical operations. I’m interested in how images are used to convey information related to medical conditions and medical intervention, and what sort of information is considered important or appropriate. I’ve been fortunate to have been able to work with Elizabeth Toon and Sarah Collins on the MSc course in Medical Humanities and benefit from the input of students on that course who have previously trained in science-based disciplines. Seeing how students from humanities and science disciplines respond to historical images of wounds and surgery has helped to shape some of the questions I’ve been asking in my research. How would you describe the term ‘medical humanities’ from your disciplinary perspective as an art historian? As an art historian, the term ‘medical humanities’ is one which prompts me to look at images relating to medical issues from viewpoints outside those which privilege the acquisition of up-to-date medical knowledge and ask questions about the perceived purpose of images or the way in which knowledge is disseminated through visual material. For example, what do images of so-called monstrous births tell us about how people in the sixteenth century dealt with physical abnormalities? 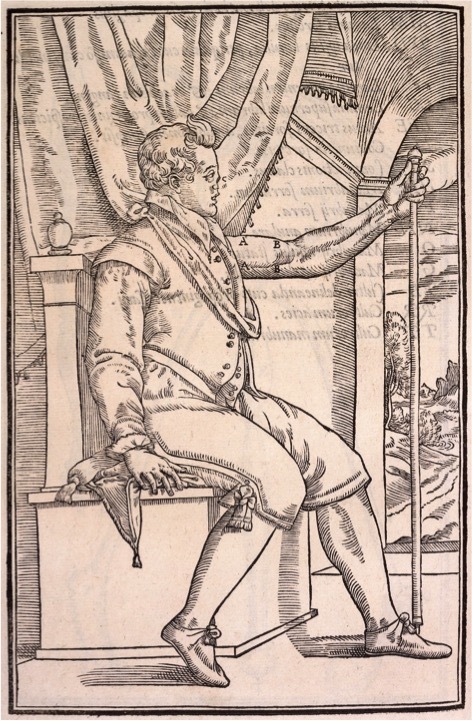 What does the depiction of the patient tell us about the way in which patients and medical professionals interacted in the early modern period? How do text and image interact? Visual images are incredibly complex and fascinating repositories of information – and not always the information you are expecting to find. Where do you see the potential of an interdisciplinary, cross-faculty network such as MedHumLab? And are there any challenges? MedHumLab gives academics and practitioners from across the University the opportunity to learn from one another in a supportive environment. The great advantage of a network like MedHumLab is that it can spark exciting new research. The launch event in November 2015 in the Whitworth was inspirational because there were participants from so many different backgrounds talking about their work and their interests and coming up with new ideas. The challenge is to maintain that energizing diversity whilst facilitating cross-faculty work. You have recently been awarded, with Carsten Timmermann, a University of Manchester Research Institute Pump Priming grant to develop the activities of the network and fund a series of events. Where could MedHumLab be headed in the future? The sky’s the limit! The next event on Bodies, Objects, Technologies will be held at the Whitworth on 6 September and our plenary speaker will be Dr Sam Alberti, Keeper of Science and Technology, National Museums, Scotland. We hope that these events will help bring together people across the University and that, with the support of the University Pump Priming funding, MedHumLab will foster great interdisciplinary research which will have real impact. I am a keen church bell-ringer (campanologist) and that takes up most of my weekends. I’ve been ringing since I was eleven years old. It’s been a great way to meet new people as I moved around a lot while I was studying and during my first years in academic posts. Bell-ringers are very friendly people and always welcome a fellow enthusiast. There are normally lots of social events. 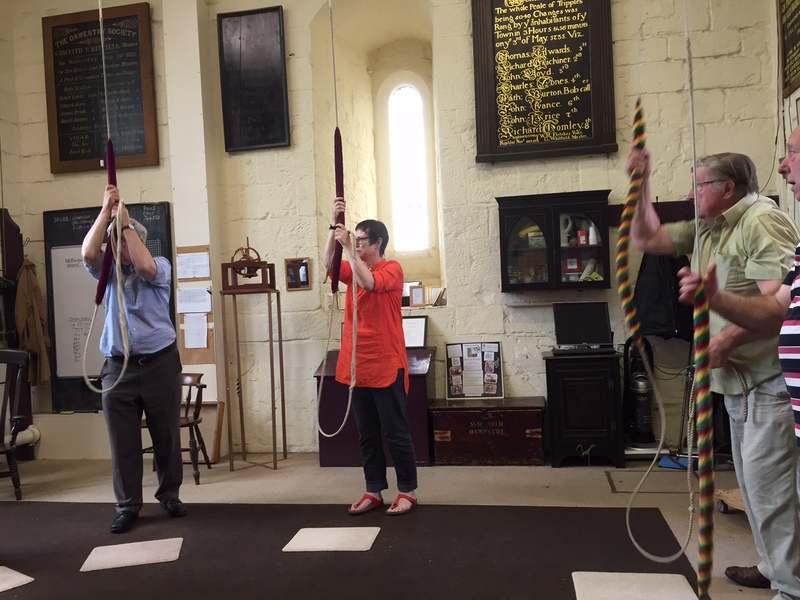 Bell-ringing is good exercise but with added ‘brain work’ built in. You really have to concentrate to make sure that the methods (not tunes!) sound right. In the last couple of years I’ve started to do more conducting and I really enjoy working on that. You can’t think about anything else while you’re conducting a method so you completely forget the stresses of the week.